you think. 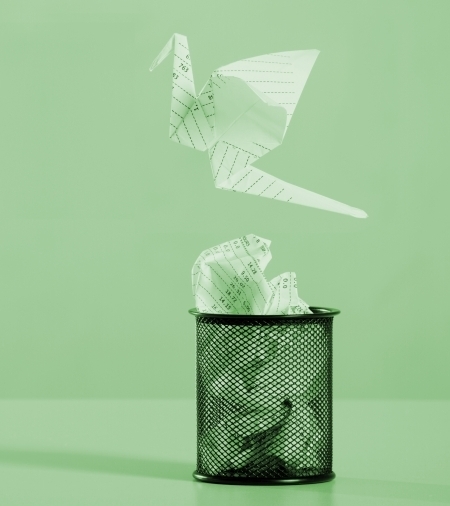 Why pay skilled employees to shred when they could be generating revenue for your business. Sound familiar? business for the present and the future. Quills offer a number of solutions for your waste management and recycling and we can provide an audit to review your existing solutions and make recommendations to compliment your existing processes. If you require a quotation or further information on waste management or recycling. Learn more about Quills Secure Data Destruction Service. In the UK alone, we use over half a million tonnes of metal packaging and nearly 2 million tonnes of glass packaging per year. Thanks to your efforts, a lot is being recycled but there’s still a lot more to do at home or in the office. Fact: If everyone in the UK was able to recycle just one more drinks can, it would save enough energy to power an electric train from Leeds to Brighton (and back) 6,000 times. If we recycled all the steel we use in a year, it would save enough energy to make nearly 135,000 return electric train journeys between London and Edinburgh. Fact: If everyone in the UK recycled all the glass we use, it would save enough energy to chill 56 bottles of wine each day for every UK household. Fact: If everyone recycled one more jar, it would save enough energy to put the dishwasher on in every household in the UK.